Less well noticed, however, is the fact that Earth Day provides a prime opportunity for people around the world to act contrary to their worldviews. 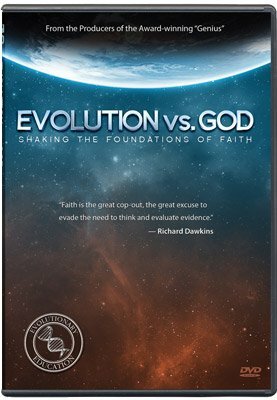 Millions of evolutionists3 will take time from their day and resources from their pockets to proclaim and further the notion that humankind has a duty to be good stewards of this world—an idea that comes not from any evolutionary tenet, but rather is found in the first chapter of the Bible. There is no logical justification for individuals who believe in evolution to promote or participate in any celebration of the Earth. The very concept of an evolutionist caring for the environment is without basis, as I will outline below. To answer the first question, I would like to respond to and refute three different types of “evolutionary environmentalists,” as they might be called. The boundaries between these are not always distinct, however, so many of these refutations apply across the board. In the naturalist’s universe, there can be no supernatural authority. Therefore, even if there were absolutes, there could be no way of ever knowing for certain that one knew those absolutes. Because everything is a product of evolution—stellar, geological or biological—all our actions are the result of the mindless collision of atoms obeying scientific law. Everything simply is; there is no right or wrong, no truth or falsehood. Rather, everything is a product of nature itself, and all ideas and values are simply atoms in one position or another in the human mind. Because of this, naturalism strongly argues against our ability to make valid normative statements (statements like “Tobias, you should not steal,” which make value judgements). If no normative statements can be made, then all the ideas of “responsibility” or moral correctness in caring for the environment are excluded by necessity. Some naturalists believe we can make accurate positive statements (statements like “Tobias has stolen the money,” which state fact). (Others believe we cannot ascertain anything certainly and therefore can make neither normative nor positive statements.) If only positive statements can be made (and, again, many naturalists would deny even this), then the most we can do is make a claim like “The environment is being destroyed, and the result will kill all humanity.” Therefore, the only possible motivation for environmentalism is either due to an evolutionary “leftover” (for example, that our love for lush green lawns is due to millennia of evolutionary change in the Serengeti) or is out of a desire for self-preservation. Naturalist Carl Sagan promotes the latter justification in a chapter titled “Exploring Other Worlds and Protecting This One” in his book Pale Blue Dot.5 He presents protecting the environment as a matter of self-preservation: humanity must care for the Earth purely for the sake of human survival. However, what if these actions diminished the chances that my offspring could survive and carry on my genes? In this hypothetical scenario, the best strategy would be to become a free rider.6 In essence, if I can avoid “doing my part” to save the environment while others stave off environmental destruction, I can benefit without exerting any effort. For in this hypothetical world of naturalism, what motive would anyone have for compliance with environmental regulations?7 Within this model, the only goal Carl Sagan had in mind when writing Pale Blue Dot was to get the reader to bear the burden of maintaining the environment while Sagan benefited from it—after all, this would be good strategy within evolution. Of course, the evidence is that Carl Sagan truly wanted the Earth to be kept beautiful—evidence that he, too, was borrowing ideas from theism. The idea that a mass extinction may be the “next phase” of evolution isn’t too conducive to the environmentalist message! Within this school of thought, if some environmental disaster had the capacity to destroy all life on Earth tomorrow, the only motivation for shedding even a single tear or lifting a finger to do something about it would be out of the evolutionary instinct to protect yourself and your genes. And the idea that a mass extinction may be the “next phase” of evolution isn’t too conducive to the environmentalist message! Even if people band together and proclaim that we should preserve nature simply because of the enjoyment humans receive from it, what’s to stop me from responding, “So what if you’re a weak sentimental type and love lush green forests? You know what I really enjoy? Toxic waste spills, deforestation, the torture of animals, polluted water and general environmental degradation. Since it’s survival of the fittest, I want to trash this planet and see if anyone’s genes can outlive mine! What do you say to that?” If evolution is true, all these ideas are equally valid. With no way to objectively label one “right,” it’s merely a battle of rhetoric and fists. If naturalism can’t give us a reason consistent with its no-absolutes axiom to care for the environment, what about individuals with pantheistic views, who deify nature? Let me also point out that numerous arguments offered by the individuals in this group are really just well-wrapped arguments about preserving humankind’s resources. For example, some advocates of protecting the rainforest hypothesize that the depths of the forest could hide miracle drugs. But an argument like this is still focused on human consumption, rather than a focus on the actual welfare of the rainforest for nature’s sake. These arguments would be refuted just as the self-preservation arguments above. But what about those who truly want to save nature for its own sake? Yet I also appreciate that we cannot win this battle to save species and environments without forging an emotional bond between ourselves and nature as well—for we will not fight to save what we do not love (but only appreciate in some abstract sense). So let them all continue—the films, the books, the television programs, the zoos, the little half acre of ecological preserve in any community, the primary school lessons, the museum demonstrations, even (though you will never find me there) the 6:00 A.M. bird walks. My first question to pantheistic-type promoters of environmental stewardship is to ask about the nature of the environment (no wordplay intended): is there any pain/suffering/evil in nature? Or, is nature perfect? Is it ideal? For years, I blindly deified nature, until a friend of mine recounted her afternoon drawing near Four Mile Creek in Oxford, Ohio. It was a warm spring day and she described the beauty of the new foliage, the birdsongs in the air and the peacefulness of the stream. But as she absorbed the moment, the bloated body of a dead fish floated downstream in front of her. My deification of nature ended a few moments later. If nature is perfect, then we have neither right nor need to meddle in its workings, so any holding this view should balk at environmentalism. After all, if nature is ideal, and if we’re “children of the Earth,” then our actions—including pollution, etc.—are just as natural as anything else. But if nature isn’t ideal, why does it deserve to be deified? Are humans separate from nature? Many people (and nearly all in this pantheistic category) would claim that nature was ideal, but that humans have tarnished once-perfect nature.10 But if you accept naturalistic ideas about human origins, whence comes the wedge that separates man from the rest of nature? You might ask one of these individuals: at what point did apemen suddenly transcend nature and their actions begin to constitute pollution? In what year did the first hominid pollute the Earth, rather than simply acting naturally? All animals consume resources; what would make us different in that worldview? If one postulates “responsible” usage of resources out of duty to “the rest of the circle of life,” this goes against evolution, which teaches inter- and intraspecies competition. Herein lies the contradiction: evolutionary ideas require that humans are simply evolved apes, so how can our actions be any more or less a part of nature than those of apes (or any other life form)? According to this view, everything in this world is natural—including every action humans take. Each human action, whether to preserve or destroy, is just as “natural” as any other. This website has much material explaining why compromise in Genesis undermines Christian doctrines (see our Old-Earth Creationism topic page), so I don’t want to revisit that discussion here. Rather, let’s take a look at why this third view within “evolutionary environmentalism” is illogical—for the incompatibility of evolutionary theory with the Christian God is straightforward. 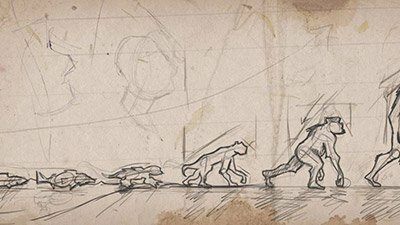 If we have evolved under the eyes of a god who has instilled in us the values of environmental stewardship, we have a major problem: do we fulfill this god’s bidding by allowing evolution to continue, in accordance with the system it [the god] set up, or do we follow the values that say species should be protected? If we follow the former, then what room is there for environmental actions (which interrupt the forces of evolution)? 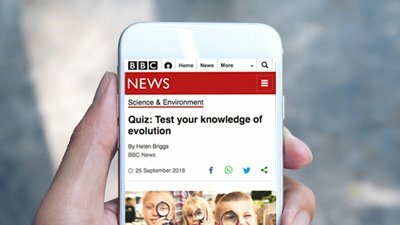 If we follow the latter, how do we know any of our partially evolved ideas about what the environment needs are not actually hampering “divine” evolution? “Where should the god’s (or gods’) evolution go? How is mortal man to know?” After all, we may be repulsed by the extinction of a whole species (or brought to tears, as Gould was), but if we believe the deity used species [and genus and family] extinctions (and evolutionary theory certainly emphasizes the role of extinctions, going so far as to say we would not exist were it not for the extinction of the dinosaurs), would it be right for us to undertake actions that would be an obstacle to the progress of evolution? Of course, if a god wanted morals to evolve, then no one’s morals are any “righter” than any other’s morals. Individuals who disdain environmental activism should either be pitied because their evolution is so lacking, or be heeded because their evolution has exceeded our dim ideas of environmental custody. If the ideas are due to our genes, then one idea might be evolutionarily “better” than the other, in which case it will be selected for. But in all these situations, there’s no way to authoritatively determine an absolute right attitude toward the environment. Is there any reason to care for the Earth? He has commissioned humankind to care for creation ( Genesis 1:26–28, 2:15 ). Evolution and environmentalism are incompatible notions, for environmentalism is based on the Creator’s commission in Genesis, whereas evolution contradicts the plain teaching of Genesis and the biblical worldview. Evolutionary theory can only provide the most absurd reasons for why environmentalism even exists, and argues strongly against environmental responsibility (indeed, against any responsibility outside of serving oneself). So, can a creationist celebrate Earth Day? More difficult than pointing out the inconsistencies of others, however, is ensuring our actions are consistent with our beliefs. Yes, many of the proponents of Earth Day (and similar events) have no proper basis for predicating their environmental whims. But we, as Christians, do have an undeniable biblical basis for caring for the Earth. As disappointing as it is to see naturalists and evolutionists uphold the idea that humankind has a responsibility to care for creation even while they reject the Creator, it is just as disappointing to see Christians who fail to pay heed to our responsibility to care for the Earth. Sadly, evolutionists have largely displaced Christians in the camp of those committed to environmental protection and caring for the Earth. The Bible makes it very clear that this Earth is a temporary, fallen domicile ( 2 Peter 3:10, 12 )—with environmental problems a specific curse that came as a result of the Fall ( Genesis 3:17–19 , Romans 8:20 )—that will ultimately be destroyed through God’s actions, and, thus, none of our actions will “heal” the Earth ( Isaiah 51:6, 65:17 ; Romans 8:21 ; Hebrews 1:10–12 ; 2 Peter 3:13 ; Revelation 21:1 ). Care for this Earth (see Genesis 1:26–8 , the so-called “Dominion mandate”). Adam was placed in the garden to “dress it and to keep it” ( Genesis 2:15 ). This does not preclude, however, our responsible harvesting ( Ecclesiastes 3:2b ). Treat animals properly ( Proverbs 12:10 )—for we know that God cares for them ( Matthew 6:26 ). Act as foresightful stewards of natural resources, managing and conserving resources to ensure they are not wasted ( Genesis 41:34–36 ). An excellent microcosm of our responsibility for God’s creation can be found in the story of Noah. It was the wickedness of humans in the antediluvian world that incurred God’s destruction ( Genesis 6:5–8 ), just as the Fall in Genesis ( Genesis 3:6–7 ) is responsible for the environmental problems ( Genesis 3:17–19 ) we have today (and all other problems). Yet Noah, a man, was responsible for saving the [land] animals from God’s consequence for human sin. In the same way, we, today, have the responsibility to bear the burden of the Fall’s environmental consequences, which fall not only on us, but on all of creation ( Romans 8:22 ). Yet another important reason for caring for nature is so that we can follow the example of the Lord. Numerous men of faith were called away from society to nature, and it was in nature that they communed with God. Consider the great number of Psalms that use metaphors from nature—including the well-known 23rd Psalm. Throughout the Bible, lush vegetation and clear streams are used to symbolize God’s love ( Isaiah 32:15–17, 35:1–2, 6–7 ), just as barren deserts are shown as the results of God’s curse ( 24:1, 3 ). And—the most important example—when Christ sought solitude and went away to pray, it was in Gethsemane ( Matthew 26:36 ), where He went often ( John 18:2 ). This responsibility—to worship and seek God through understanding what God has created—begins in Genesis, was upheld by Christ, and is our responsibility today. And beyond the prominent way God has used His creation to draw man closer to Him are the many practical benefits to exploring nature, including stress relief and the benefits of exercise. As the advocates of Earth Day would say, we all do need to “do our part”; but as Christians, we must go beyond this and exert the effort to prove to the world that the church is living in accordance with what the Bible says about creation. I suspect that many of us actually have somewhat disdainful views of environmental “causes,” when in fact, we must have a reputation for caring for the created Earth. One step in the right direction could be if the church were to emphasize its desire to be a godly steward of creation through a “Creation Day” that would highlight the Christian view of the environment, rather than elevating the environment to a godlike status as does Earth Day. This way, the focus of the day would not be on “Earth” as a standalone entity or in some pantheistic sense of “Mother Earth,” but rather, the focus would be on creation and its Creator. Through this day, we could spearhead an upheaval of the humanist near-monopoly on dictating humankind’s role in caring for the Earth. A Creation Day could be focused on enjoying God’s creation within the framework of Genesis: helping future generations understand the perfection of God’s original creation and the consequences of the Fall, even as we upheld God’s commission for protecting the environment through practical acts of environmental service, such as collecting litter, emphasizing recycling and reduction of waste, planting trees and making wise decisions about energy usage. My final question, then, is this: is your passion—or lack of passion—for the creation all around us built on the foundations of your worldview, or do your actions lie in contradiction with your beliefs? In other words, are you treating the Earth as your worldview says you should? For Christians, we must fulfill the stewardship responsibilities God has given us. On the other hand, if you realize your sense of awe at creation and passion for the world around you contradicts what you believe about the origin of life, then read the words of Romans 1:20 , and understand that creation is one of the most prominent signs of the Creator’s handiwork! 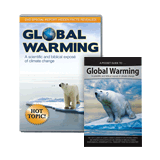 For more information, see our topics pages on Environmental Science and Design in Nature. How Should Christians View Biological Classification? Actually, two dates are used as “Earth Day.” The vernal equinox is often used for “International Earth Day,” but in recent years, the April 22 Earth Day (originally celebrated only in the United States and Canada) has gained popularity worldwide. “About Earth Day Network,” EarthDay.net. I will use the term “evolution” throughout this article to refer to the idea that molecules have turned into men over millions of years. Carl Sagan, Cosmos (New York: Wings Books, 1995), p. 4. Return to text. Carl Sagan, Pale Blue Dot (New York: Random House, 1994), pp. 217–229. Note that Sagan, in this chapter, includes “Stewardship” (p. 229), a watercolor by Greg Mort, though he does not comment on the fact that the word stewardship implies management and servitude to a higher authority. Sagan promotes the stewardship of nature even while denying anything other than nature. In fact, the only motive for compliance with or promotion of environmental regulations would be in the attempt to “fake out” others and get them to clean the environment while you enjoy a free ride. Stephen Jay Gould, Eight Little Piggies (New York: W. W. Norton & Co., 1993), p. 40. Of course, if you accept the Bible as God’s Word (and therefore believe in the history found in Genesis), you can accept the idea that creation was once ideal and humans tarnished it—in fact, it forms part of the basis for a Christian response to the question of environmental stewardship. [Second] comment from Richmond, Virginia, Earth Day Online Discussion: Religion Meets Earth Day <http://www.worldwatch.org/live/discussion/72/">, Worldwatch Institute, April 18, 2003. In fact, the bulk of human activity flies in the face of modern evolutionary theory, which relegates our relationships, ideas, values, loves, interests, etc. to mere products of evolutionary necessity. Don DeYoung, Weather and the Bible (Grand Rapids: Baker Books, 1992), p. 141. Ken Ham, Creation and Conservation, Creation 17(4):20–23, 1995.